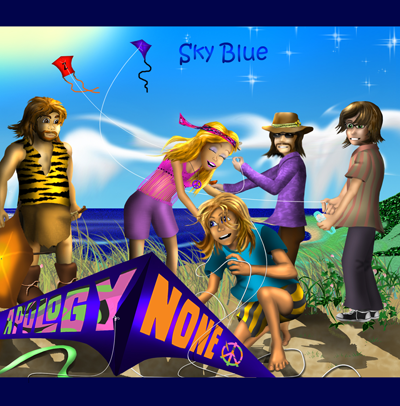 Our latest sonic adventure 'Sky Blue' has been completed and the CD can be purchased at Amazon.com. Stay tooooned for updates on digital download availability! Apology None on your TV screen! We are groovified to announce we are on the ROKU channel Beta Max TV. 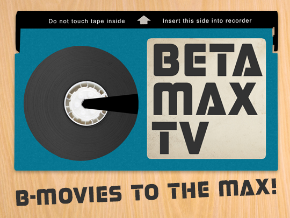 "Beta Max TV is a completely free movie streaming service featuring hosted horror shows and weird genre films from the 60s, 70s and 80s." Our debut was a double bill with Betty Boop, complete with video intro/outros by our one and only Terry Summer. Check out Apology None on this cool channel! 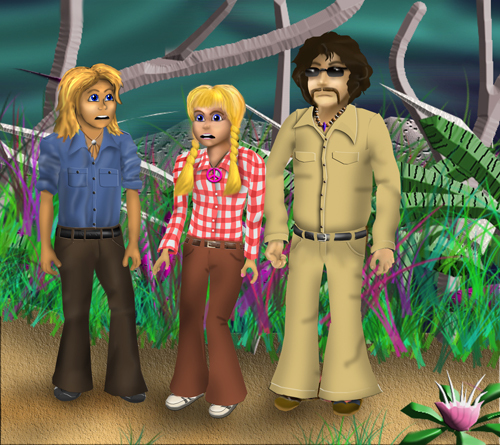 The kids from the 1970s Land of the Lost (Will, Holly and Chaka) did an appearance together for a scene in the upcoming Apology None cartoon and it will be hilarious! Thanks to Phil Palay, Kathy Coleman and Wesley Eure for being such good sports and giving their all! Apology None star in ITP music video! 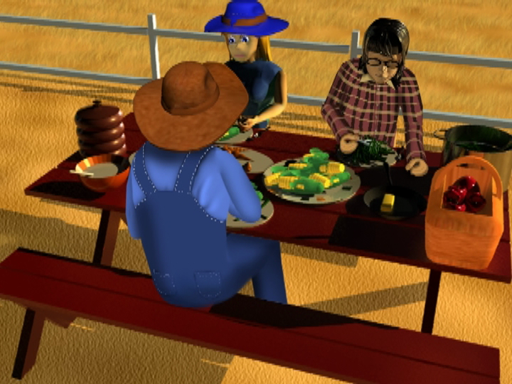 Our friends "Ivory Tower Project" produced an animated video for their song Rosie and stars....US! It was an honor being a part of this project and WOW what a cool song! The band is half way through the recording of a brand new album. The songs on this are a whole new kind of groovy! It is due for release by the Summer of 2018. New Cartoon Episode in the Works!! A brand new episode started production in January 2017 and is due for release by the Summer of 2018. We are really excited about this as it takes place in their home town. It is hilarious and the visuals are a gas! We can't wait to share it with you! In case you haven't noticed, the website has been redesigned from the ground up. It is now simpler to navigate with all new graphics and extra content. Let us know what you think! A brand new Transforama Video has been released and stars Terry, Teri and Rob, and Stacy! They had a lot of fun volunteering for this fantasy based short and it features music by the band. The band is also starring in a music video by the band Ivory Tower Project. It is due for release in Febuary 2018. And in addition, they are doing a cameo in a music video from the band Fragile X which is due for release in 2018. Check out the groovetastic video for "Really Really Really" It not only features us onstage playing a fan favorite, but it also includes scenes from all of our past cartoon episodes. Check it out!! 2016 was a tough year as we lost two really good friends. Ally Gourlay loved Apology None and had a 'shameful crush' on Teri Trel. AN was regulary featured in his Edinburgh FM radio show "Art School Dancing". His voice can be heard in the opening sequence of the episode "The Big TV". But most notibly, he was Mr. Browntree in the film Satur-Delia. He did the role when he was terminally ill so it was quite an emotional time. He was finally able to get a hug from Teri Trel! He also appeared numorous times with Terry Summer and friends on The Wrong Channel show and played the Crab Monster in an episode of the Apology None Fun Hour. We will see you on the other side but in the mean time, thank you for being a part of our goofy shows! You are missed. God bless you both. 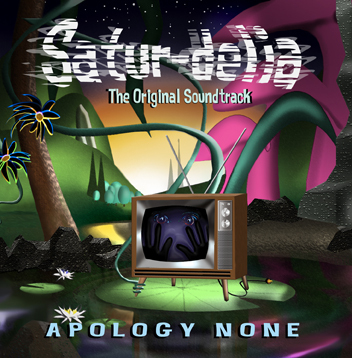 Apology None's epic animated film Satur-Delia has been released! The film was premiered at Amelia Musical Playhouse on June 28th and is now on youtube in 4 separate segments. Tooon into this amazing adventure which features Krofft superstar Wesley Eure and many many other groovily talented musicians and voice actors. This will blow your mind!! The Apology None Store back in business! The Apology None Store is back on line and groovier than ever! Choose from hundreds of items including t-shirts, posters, stickers, pillows, skateboards, device skins etc.. Available in the Products page. Apology None present Psychedelic Rock's grooviest animated film! Due for release June 2015. 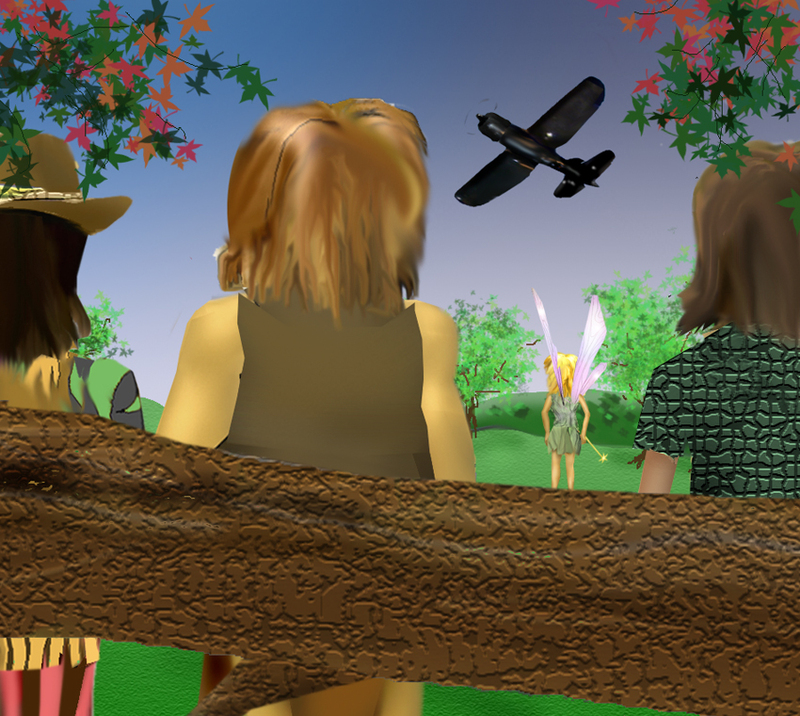 Meet and Greet the Actors of Terry, Teri and Rob as they present their favorite AN cartoons at Amelia Musical Playhouse. No tickets required but donations accepted. 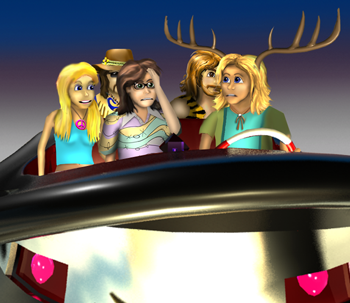 The completion date of the grooviest film in cartoon animation history has moved from March to April because the band ended up tangling with several -err- hippies! Rob, Terry and Teri participated in the musical Hair at the Amelia Musical Playhouse in Fernandina Beach, Florida. Terry ended up playing the lead role of Claude (just when you thought you've seen everything!) The cartoon is amazing, with a constantly rising bar of art, animation, storytelling and music. Which leads to the next item.. It has been nearly a year since our latest album has been released and since the film Satur-Delia is still in production, some of the music has changed. The CD is currently being brought up to speed to better reflect the cartoon. Some changes will be barely noticeable, while at least 2 songs will have substantial changes. The tray card image collage will also be updated. If you own the original CD, it may soon be a collectors item, ya dig? The new version of the CD should be available by the time Satur-Delia is released, as well as digital downloads and merchandise. Merry Christmas, Happy Hanukkah from Apology None! And other stuff! We hope you are having a great one and a fantastic new year! Now the good news. The new cartoon Satur-Delia is getting better and better (the quality bar is being raised constantly with this. You will be GROOVIFIED!) and is still on schedule for release in Spring 2014. In the mean time, give our other cartoons a watch and give our music a listen (Satur-Delia: The Original Soundtrack is available at Amazon.com). Review of Satur-Delia: The Official Soundtrack by Keith James Sinclair on ELO Beatles Forever Blog! ELO Beatles Forever is THE one-stop for all ELO related news including the Beatles, The Moody Blues and Indie artists that bring the groovy sounds to a new generation. Please check out this site and the groovetastic review of our latest album! We also thank Keith for playing us on the "Keith James Sinclair Suggests" radio show on Hamilton Radio! Please check out this FAB show!! There is also a short but still groovy interview of Terry from the Round At Milligans show. Many thanks to Dave Milligan!! You can actually hear this interview on our ReverbNation site or on the widget in our Music page. Also be sure to check out the Far Out show Round At Milligans on QStar Radio! We are positively GROOVIFIED to announce that Wesley Eure is guest starring in our epic cartoon Satur-Delia! You may remember Wesley as Will from the hit TV show Land of the Lost, Michael Horton from Days of Our Lives and several other shows and films. Wesley also appeared on two episodes of the Chatroom Suspects show on QStar Radio along with Apology None's very own Terry Summer. We give Wesley a big groovy 'Thank You' for lending us his wonderful tallents!! Buy at Amazon mp3 downloads at Amazon coming soon!! You can hear a few of the songs and read lyrics on our 'music' page. Apology None are the third most requested band on Hamilton Radio!! Cheers to DocG and Hamilton. Be sure to check them out for some far out music and personalities! Apology None are now a FEATURE ARTIST on MuseBoat Radio!! We made our debut on TJ´s Muse Bridge LISTEN & CHAT show. We welcome MuseBoat Radio to the Apology None family. They are GROOVY!! Recording of the new album is now complete and it is GROOVETASTIC!! A few tracks have been released and you can hear them on our ReverbNation widget on the music page! Be sure to follow our Facebook page for the latest release news! The CD itself is in the proofing stage and should be available in mid-May. Apology None star in the new animated video by the Ivory Tower Project ! It is sure to be GROOVETASTIC and we will post it here when it is complete. After six grueling months, Apology None has now left Lidsville and are in their next project phase! The second reel of the new epic cartoon is near completion. Hopefully the cartoon will be complete by the end of the year. Apology None will be regulars on the new "David Mobley Show" which features the best indie music videos! Check it out because this show will be Groovetastic! The latest cartoon will have a full soundtrack album to accompany it. This will be the first new album since High Society in 2009. 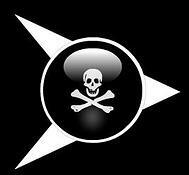 Some new songs from this project will start to be released as the new cartoon/album nears completion in Autumn 2014. Though the next Apology None cartoon episode isn't slated for release until Spring of 2014, you can see exclusive pictures from it on our official Facebook page. 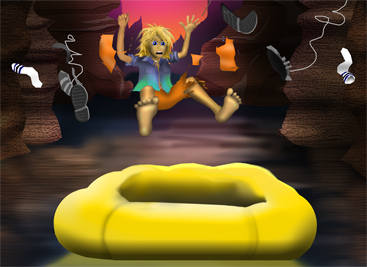 You've seen them add fun and calamity to Apology None's misadventures. Now you can read about these lovable, menacing characters. 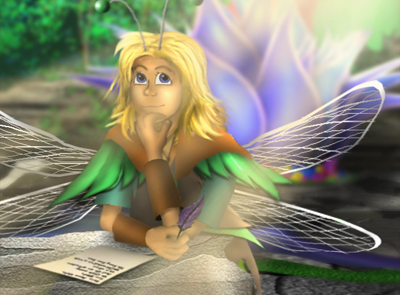 The Supporting Characters page link can be found at the bottom of the Band page..
A new Epic Cartoon has started production and is do for release in Spring 2014. Like Star Trip, this will have a full cast as well as groovy new music. Terry Summer calls the CS Show gang using an invention Rob made with the intent of bridging the cartoon world with the physical world (and the future). "Two Minutes of Fun. A handheld camera in a cartoon? Brilliant. Episode VII "Why don't You Call Henry"
Introducing Henry T. Pipe: Eccentric composer/orchestral conductor for Apology None. Some of his works tend to have certain...powerful and mystical consequences. 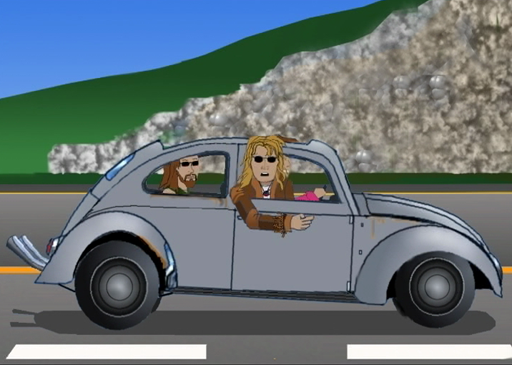 This hilarious cartoon short is a collaboration with the wonderfly talented Thinking Aloud. Two hours of show, one hour of fun, ya dig? Our first radio show "The Apology None Fun Hour" debuted on QStar Radio in January and is now one of their top rated shows. Listen as your host, Terry Summer spins records that Apology None digs, as well as Indie artists in their friend circle. Terry gives opinions about the records and tells stories of experiences with the bands. Cartoon excerpts and new Apology None comedy skits are also featured in this groovy show. Toon in on QStar. The show has limited runs so check the Q Star schedule, man! Our song 'Really Really Really' is Really Really REALLY doing great on IAC. It's number 3 on the Alternative/psychedelic chart and #13 for the whole site which consists of like, millions of songs!!! 5000 plays this moth so far. We're in orbit!!!!!!!! See the most anticipated and Epic Apology None cartoon to date. 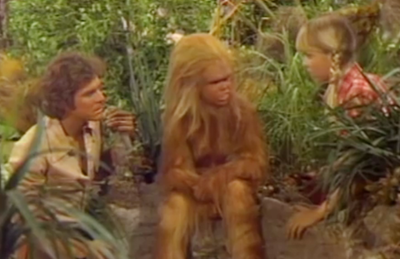 Star Trip is the lost Pilot Episode of the 1972 reboot of the original Star Trek series. It features the regular crew of the USS Enterprise and ---Tadaaaaaaa--Apology None! Many thanks to all our friends who helped on this year long project. We give a very special thanks to Owen Hodgson (AKA Thinking Aloud) who worked many months creating and perfecting the full length orchestral score and sound FX. Check out the hilarity now and please help spread the word, the music and the laughs. View it now on the videos page. As part of the Episode VI Star Trip project, Apology None is releasing its groovy featured song, Really Really Really. Check out this psychedelicious track! Special thanks to Owen Hodgson (AKA Thinking Aloud) and Vinnie Zummo for their FAB contributions on this song! "Yet I Still Love You" made its debut on the Steve Jarrott Morning Show on Q Star Radio. It is one of the band's fastest paced songs. With its cascading harmonies and quirky lyrics, you will surely get lost in it's groove! As the 'real world' version of the band prepare their live shows, you can now watch them rehearse and practice LIVE on Blog Tv. Check our BlogTV profile page for our practice schedule. We are proud to add the wonderfully talented Owen Hodgson of "Thinking Aloud" to our Episode VI production team. He is making an absolutely fantastic score which has brought the project up to a whole new level. Owen has a wonderful sense of humor and has even joined Terry Summer in the most recent edition of the Chatroom Suspects show on Q Star Radio. Be sure to check out "Thinking Aloud". His music is absolutely beautiful! "Of what I Know" is the first new Apology None song to be released in two years. This song started out as part of the soundtrack to Episode IV "Just WIng It" as an instrumental but it has now been completed. You can listen to this song on the Reverb Nation sound widget on the Music Page. More cartoon soundtrack songs will be completed and released soon. Check out Terry Summer in Q Star Radio's Chatroom Suspects Show! This is a round table-type talk show where a group of i-radio personalities discuss nonsense and other similar issues. 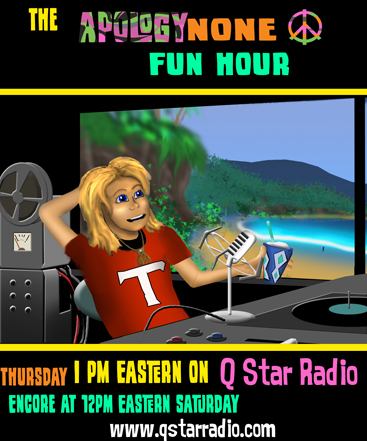 Listen to this hilarious show on Sunday 5pm Eastern and Thursday 2pm Eastern on Q Star Radio! We are very pleased to announce that Keith James Sinclair did a Fab review of our Album, High society on his ELO Beatles Forever Blog. For those of you who are familiar with ELOBF, you'll know what an honor it is to be featured in this website. Be sure to check out ELOBF for a wonderfully comprehensive look at some of Apology None's influences The Move, ELO, The Beatles and their extended family of groovy bands! Apology None and our song Capriccio is a four time winner and current champion of Battle of the Indie Bands on the Steve Jarrott Morning Show !! Thanks to all who voted for us and special thanks to Steve for featuring us! Please check out his show if you get the chance. It's a gas!!! Apology None has been featured on several Fab shows lately, including Shaz Kuiama's "Through The Years" show on Radio Backtrack and her "Kuiama's Choice" show on Hamilton Radio and Q Star Radio, and Space Coast Radio.. Hamilton radio DJ Dennis Holseybrook is also playing Apology None on his show "Songsmith's Music Motel" and "The Worm Hole", and Steve Jarrott also plays the band on his morning show. Hamilton Radio also features Apology None in their regular play list. Many thanks to Shaz, Dennis, Gene Pierro, Keith James Sinclair and Steve Jarrott of Hamilton Radio for their kind words and support! Show listings can be found on their Facebook pages. Please tune in and be sure to listen to the bands comedy radio spots! It has been a groovy few months for the band. The Apology None team has expanded and acquired new headquarters near the Colorado Rockies. Episode VII is in the works as well as several new songs. The band members have their own Facebook pages now which can be accessed via their bio pages on the band section of ApologyNone.com. You can ask the members questions individually on their pages or as a group on Apology None's Facebook page. The band also plans to perform live by year's end. Episode V "Trapped" shows the band with a new look as they make their transition into the early 1970's. It features a few cultural icons from that era, as well. Check it out in the videos page. What cartoon band doesn't have a theme song? The "Apology None Theme" made its debut in the episode "Trapped". 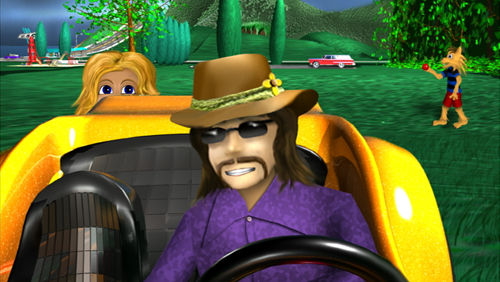 It features the band's signature musical style combined with groovy visuals and scenes from past episodes. Check it out in the videos page. An episode produced for the Transforama Network has been released and is on the videos page. Episode IV "Just Wing It" shows the band at their wackiest! The band placed twice in Edenburgh Scotland's "Art School Dancing" radio show on Castle FM (formerly Leith FM) radio. The end of the year contest "Hogmanay 100" was determined by listener votes. "Need some Love from You" placed #10 and Sunshine placed at #9. Many thanks to all who voted and to our friend, Ally Gourlay, who hosts the show. Visit the links page to find out information about the show. The band talks about their origins and showcase some of their music on this hilarious vintage episode of the talk show "The Big TV". Hosted by the great 1960s television icon, Walter O'Brian. Can be viewed in the Videos page. We are please to announce the arrival of a fab new song. "Alabama Free" is a piece of Apology None's early history when they tried their hand in the folk scene that was so popular in the 60s. 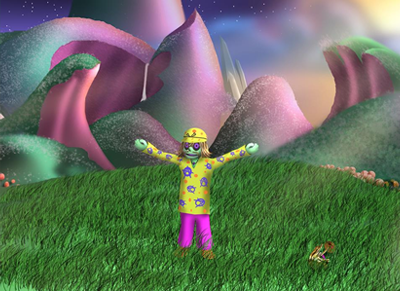 The song paid homage to ZenBob's home state. Unfortunately, the folk audiences dismissed them as being too "poppy". It didn't help that the band was also going through their gimmick suit phase and were starting to experiment in psychedelic music and "wall of sound" styled production. Either way, the song was a minor hit and helped popularize the band in the psychedelic pop scene. HERE'S THE COOL PART. This song can be downloaded free. Just go to the "My Band" tab on the Apology None Facebook page and it hangs in the song list along with a download button. We hope you dig it and spread the groove! Apology None made the scene twice on Ally Gourley's "Art School Dancing" top 50. The "Mid-Summer Night's Scene contest was determined by popular vote and aired June 21st. "Need some Love from You" came in at #24 and "Sunshine" made it to #18 and was broadcast as part of the top 20. All of the songs played on the program this season were eligible. The winner of the contest was the Doors "Light My Fire". Art School Dancing on Scottish radio Leith FM 98.8 is a groovy adventure in listening and Apology None shows up regularly so it is highly recommended. More information on how to access the show on the links page. Hit the Products link and see the new products the band has available. 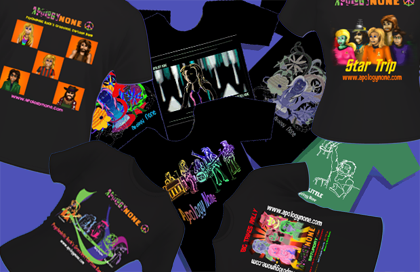 There is a growing line of fab T-shirts for sale as well as tote bags, a Superfast! Race Team hat, magnets, travel mugs, coffee mugs and sports bottles. More products will be available in the coming weeks. The first single off the album "High Society" premiered on Scottish Radio LEITH FM (98.8) on Ally Gourlay's groovy psychedelic/ alternative show "Art School Dancing". Many thanks to Ally for the feature and kind words. "Superfast" and "Capriccio" have been featured as well and there's a good chance he will feature A.N. in future episodes. Either way, it is a great listen so please check it out. More info on the Links page. A new animated short is now up on youtube and the videos page. See a comical candid view of the band in travel between gigs. The soundtrack features all new A.N. 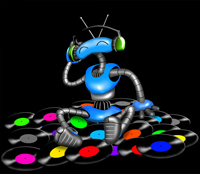 music for you to groove to. Be sure to crash the party at the Apology None Facebook pad. You can stay in tune with the band via message boards, updates, rarity files and an "Ask the band" section. They hope to see you there! 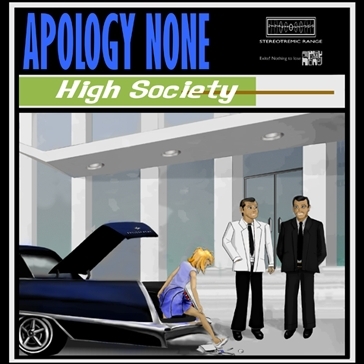 Apology None's groovy debut cd "High Society" is now available to the public in the music section of this site. Watch Apology None perform "Sunshine" on the Isaac Lemon Show. The band's first video is now on youtube and can also be viewed on the video page of this site. The Museum has been reopened and we hope you can check it out. Some of you may remember it from ten years ago. Some of the old content has been salvaged and restored. There are new creatures added to the "Anthropology None" section as well as a band Gallery. You can access the museum from the Band page. 2009 was a fun year for the band as they entered Mike Pinder's Song Wars competition as well as IAC's "Year of the Indie" song contest. 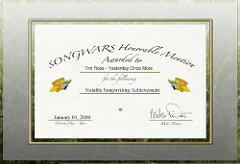 "Yesterday Once More" received a Noteworthy Songwriting Achievement certificate and "Blast Off" received a very nice critique by Mike Pinder of the Moody Blues and received high marks. He noted that both songs could be used as Bond themes. The critique can be viewed in the feedback page. A couple songs had a great run in IAC's Year of the Indie contest. "Need some Love from You" made it past the first two eliminations into round 3. It was a good achievement because it was entered in the "pop" category which was huge. "Capricco" did an outstanding job as well as it made it to round 4. Out of the thousands of entries in the Alternative/retro and psychedelic category, it was one of 15 left in the final round. Also worth mentioning is "Superfast!" made it to #11 in their "underground 40" chart. Reminiscent of the song's run on the Surf chart on Mp3.com nearly a decade earlier.